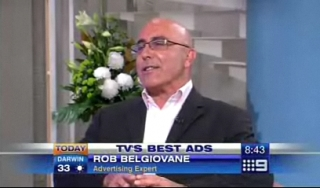 * Full access to all of the bestads archives - going back to 2003. * Full access to the complete bestads Rankings (by Agency, Country, Creative Director, Creative, Director, Production Company etc) - going back to 2003. * Your own expanded Your Space page with an extra 500meg of space to upload your best work and CV, with optional links to your Facebook and Twitter pages. * Full access to the bestads Members Directory - you can now view the pages of Bestads members throughout the world, and contact them directly via their email address. Great for contacting long lost colleagues! * Be a part of the global creative advertising community. Jennifer Wells from Canada's The Globe and Mail reports on the success of the Bestads Podcast, which is ranked #1 on Canada's iTunes Top Video Podcast Chart. Bestads is also #1 in Australia and Finland, #2 in Ireland and New Zealand, #3 in Portugal, #7 in Greece, #18 in the UK and #46 in the Netherlands. In the countdown to the 2008 Cannes International Advertising Festival this month (June 15 to 21), for those who haven't seen it, it's worth viewing last year's Gold, Silver and Bronze Film winners. The new look Bestads site has been created for Campaign Brief by the team at Rivet, Sydney. Says Rivet Executive Producer, Richard de Nys: "Best Ads is an iconic industry site that has become a daily ritual for those in the ad world - we're proud to have had the opportunity to improve the user's experience with a refreshed design and usability enhancements. The rankings functionality on the site has been given a serious upgrade, with the intention to encourage friendly competition between agencies, clients, creatives - in fact everybody involved with the work. That's pretty exciting, because it's not just an annual ranking, but has the potential to literally change by the week. Bestads is all about the great work that's being done worldwide, and the changes to the site will provide a better experience for everybody. We hope you agree!" Droga5,New York, the independent advertising agency founded by David Droga, has stunned industry spectators in the US by taking out the coveted Creativity Magazine Agency of the Year title after less than two years in business. In doing so, the young upstart has beaten US creative heavyweights Wieden & Kennedy and Crispin Porter + Bogusky, both shortlisted. This is the first time in the history of the award that a foreign-owned agency has won the honor (Droga5 remains proudly independent and is presently 85% Australian owned). 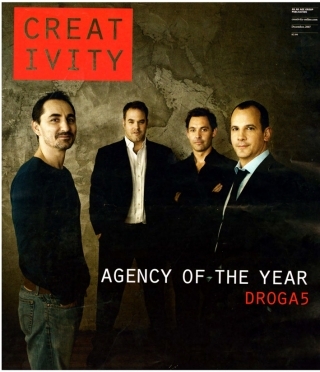 Droga5 is by far the youngest agency ever to win the title as well. In a remarkably short space of time, the relatively lightweight Droga5 (its midtown NY office has less than 50 staff, making it a minnow on Madison Ave), has made its presence felt on the international ad scene with untraditional, breakout work for Mark Ecko, using the now famous 'Airforce One Tagging Viral' and more recently, the 'Tap Project' for UNICEF. David Droga is no stranger to Agency of the Year awards: he's walked away with the title now in not one, but four separate countries - Australia, Singapore, UK and now USA. However, as founder of Droga5, he says that this one is by far the sweetest: "This is an amazing compliment to everyone involved, and now more than ever we want to live up to the goodwill thrust upon us". Droga remains typically pragmatic over the title: "As I say internally: Enjoy the hype, just don't believe it!" Other Agency of the Year titles awarded so far: Fallon got the nod in the UK by Campaign magazine, while Marketing magazine chose AMVBBDO. 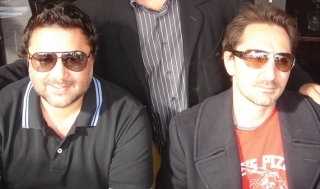 Star Aussie expat creative Leo Premutico (top left) and star South African expat creative Jan Jacobs (top right) have departed Saatchi & Saatchi, New York, where they were joint executive creative directors under chief creative officer Tony Granger. The pair helped Saatchi NYC win the Cannes Agency of the Year title this year, and the No 3 spot last year. Where they are off to next is a mystery, although one presumes it's to start their own shop. One source said it would be backed by Saatchi & Saatchi parent Publicis Groupe. When contacted by BestAds, Premutico could not reveal their future plans as they were still contracted to Saatchi's until the end of October. make for the beginnings of a very powerful creative network. The outside comes indoors in this surreal spot for Orange via agency Vitruvio Leo Burnett, Madrid. Partizan, London director Numero 6 has taken the internet by storm with a series of film clips posted on YouTube that appear to show alien spacecraft flying across the skies of Haiti, the Dominican Republic and Brooklyn. Posted under a pseudonym on August 9th, the videos were quickly picked up by the ravenously curious online UFO crowd. Within two weeks they have clocked up well over three million hits. Debate raged online as to whether or not the clips were genuine. Some sceptics decided the footage was so slick it must be viral marketing for various forthcoming films or video games. The clips appeared on CNN and Fox News, with a presenter on Fox News proclaiming "It looks real and I think this is proof positive that there are other life forms out there and they are coming after us!" Then last week the LA Times stepped in to investigate the story, and were the only press to track down the true source of the clips, David Nicolas, also known as PartizanÃÃÂ¢s Numero 6. "With all the cries of fraud and opportunism, even the most steadfast doubters couldn't find anything in the footage that was obviously bogus," wrote LA Times journalist David Sarno. "More than a few observers in either camp called them 'the best UFO videos ever'. " Numero 6 is known for its work for Coca-Cola, Ikea and the Super Furry Animals, among other clients. David made the UFO films as research for his next project, a feature film based on a true story about the biggest UFO hoax in American history. The film is still in pre-production and is to be produced by Partizan Films. 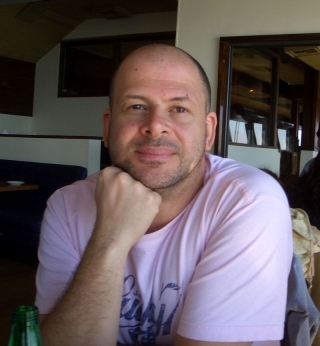 The funeral service for Academy Films director Tim Royes, who was fatally struck by a vehicle while vacationing in New York City early last week, will be held at 1pm, this Friday 31st August at Golders Green Crematorium in London. for visiting on Wednesday 29th from noon til 4pm and on Thursday 30th from 10am to 4pm. Please call Kenyons on 0207 313 6920 before arrival. Flowers to Kenyons, 83 Westbourne Grove, London, W2 4UL. Following the funeral service there will be an Afternoon/Evening of Remembrance. The venue is yet to be confirmed and all details will be listed on www.timroyes.com All Tim's friends are welcome at both and his family hope to see as many of Tim's friends as possible on Friday. If you haven't done so already, you can log onto Tim's website to donate to one of his favourite charities, should you wish to. You can also read and share some of the amazing messages that have been sent by friends and upload and look at pictures of great times shared with Tim. Tim's family really hope to see as many of his friends at his service on Friday. New York for The Names Agency, Sydney. Unveiled at a spectacular online global premiere event in virtual world Second Life, âHappiness Factory â The Movieâ portrays the adventures of a factory worker as he embarks on a quest to replenish the Coke, putting the happiness back in the âHappiness Factoryâ. Watching the three and a half minute film at the exclusive gala event was an international crowd of nearly 100 glamorous avatars dressed in red carpet fashions, including singing sensation Avril Lavigne and reporters from more than 16 countries worldwide. âHappiness Factory â The Movieâ was produced by Wieden+Kennedy Amsterdam using âstate-of-the-artâ animation techniques and a team of over 50 3-D animators from the PSYOP. agency. MTV Networks Australia has launched the full 10 minute film of Snoop Dogg's quest to become an Australian citizen. The film is part of the integrated 'Welcome Snoop' brand campaign which includes print, poster, web, mobile and event channels among others. According to the agency, the campaign has attracted massive downloads from the web already and the on-line petition for Snoop to obtain citizenship is growing fast. The web component is divided between a dedicated mtv site at mtv.com.au/snoop and as part of a joint mtv and myspace promotion at myspace.com/voteforsnoop. Creative Team: Dejan Rasic, Rebecca Carrasco & Howard Collinge. Head of Production: Darren Bailey. Senior Producers: Charna Henry & Lisa Cordukes. Editors: Peter Whitmore, Kris Rees. MTV Creative Director: Vanessa Zuppicich. 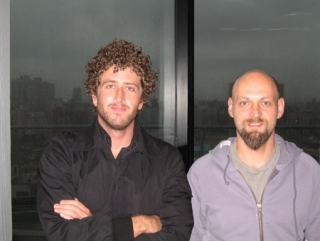 MTV Marketing Team: Colin Blake & Sam Coombes. MTV Managing Director: Dave Sibley. MTV Communications & Publicity Manager: Laura Vozzo. The portrait used for the print ad is made up out of 8400 M&M's that were carefully arranged by hand. It visually depicts the beauty of unification and pays tribute to the man who made it possible. "This is the kinda stuff that keeps us going," says the creative team. If you're a creative, this is WELL WORTH A LOOK! SuperVirals is a new website where top brands throw down the gauntlet for you to create cut-through content. Upload your video, image or audio ideas and, as they get shared across the web, the SuperVirals scoring system decides the winner. Currently up for grabs is AUD $3,000 in cash and over AUD $6,000 of cool mambo gear, shipped to wherever you are in the world. An aerobatics flight and a skydiving trip are also yours to be won. Amsterdam, 16 July 2007 - Today independent creative agency Selmore in Amsterdam announces the hire of Rachel Booth who will be heading and developing the agency's international new business department in the role of New Business Director. Rachel Booth, from the UK, comes from illustrious agency 180 Amsterdam where she ran the international new business department for more than 4 years. Rachel was responsible for all of 180's new business and marketing efforts and also worked closely with the management on many global pitches. Rachel Booth: "I've heard nothing but brilliant things about Selmore, and as the agency grows and becomes more international it's a really exciting time to join. I am very much looking forward to helping them in their mission". Rachel adds: "Not to say that it wasn't a hard decision to leave 180, who are also in a terrific period of growth, I was lucky to be a part of that." "We are very pleased to have Rachel on board" says Bas Korsten, Selmore's Creative Director and co-founder "This senior hire underlines Selmore's international ambitions. The experience Rachel brings is of incredible value to our agency. On top of that, she's a genuinely nice person." COMPANY has opened an LA office, helmed by Owner/Executive Producer Robin Benson (formerly of Villains). COMPANY's roster of directors includes Philippe Andre, The Coen Bros, Fred Goss, Sara Marandi, David McNally, Jeff Thomas and Harald Zwart. COMPANY's website: http://www.companyfilms.net. The Rut Cracker Suite ... from MJZ & CP+B. (TORONTO, March 6, 2007) ihaveanidea, AdvertisingÃÂ¢s Intellectual Archive, announces adblogs, the world's first ever blogging community for advertising professionals. ihaveanidea aims for adblogs to become the new epicenter of ad industry opinion. In support of ihaveanideaÃÂ¢s mission to globally promote the advertising industry, the unique project today launches the adblogs hosting service free of charge until 2008. 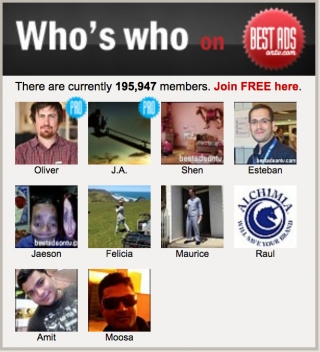 Adbloggers can upgrade to have adblogs Plus features for $49.95 a year at anytime without any obligation. ihaveanideaÃÂ¢s adblogs offers industry professionals a rich set of features for publishing, updating, and sharing information on the Web via the popular website ihaveanidea.org. The unique features, designed specifically for advertising professionals, are easy to use and offer advance features such as mobile blogging (moblogging), portfolio showcase, video streaming, RSS, podcasting and more. "We're giving the advertising community the keys and the power to be heard, to get their ideas seen, to have their portfolios viewed and more. Since day one, ihaveanidea was designed to serve the industry as a living and breathing online brain where the industry itself feeds and consumes its own knowledge in a perpetual cycle. Adblogs is another tool by which the industry will continue to do that.ÃÂ¢ says Ignacio Oreamuno, President of ihaveanidea. ÃÂ¢Right now there are only a handful of good blogs written by industry professionals. The ratio of bloggers sharing knowledge and the actual amount of know-how and people in the business of advertising is not balanced. We intend to change that." ihaveanidea has a dedicated audience that comes back again and again to ihaveanidea.org to consume and share topical industry content and opinions. Now, regardless of your industry rank, over 360,000 unique visitors to the ihaveanidea Web site will be able to see your posts. Adblogs is the best way to build a professional presence with ihaveanideaÃÂ¢s audience ÃÂ¢ the worldÃÂ¢s advertising industry. ihaveanidea Adblogs connects professionals in advertising with the people who matter in the industry in various ways: to find a new job or to write about the one you have, to broadcast news or to share your individual passion to the world of advertising, to engage with your clients or to find new ones. ihaveanideaÃÂ¢s adblogs are easy to start and maintain. In minutes, with ihaveanideaÃÂ¢s adblogs service, it is easy to have a great-looking, up-to-date, search-engine friendly, high traffic, presence on the web. France is leading the world this week! This week, France has 3 of the 6 PRINT ads featured on the main print page, and 2 of the 6 main TV spots!! Today international creative consultancy Sukoi Amsterdam announced it opened its doors along the Vondel Park in Amsterdam. The new company is a consultancy for the international creative industry and offers a decade of experience in creative management, recruiting international top advertising and design talent, global creative PR and award show management. Sukoi Amsterdam was founded by Suzanna Koppedraayer who spent 10 years working with renowned independent creative agencies Wieden+Kennedy Amsterdam, 180 Amsterdam and Modernista! Boston. For the latter she recently set up Modernista!s European Office in Amsterdam. In August Novi van Baak joined Sukoi after 3 years with 180 Amsterdam. Prior to 180, Novi worked in a marketing communications role at Sonys European Head Quarters for more than 4 years. Just to prove that we don't think ourselves as journalists, here's a cut n paste from a PR release. But an interesting one. The Rumpus Room, the new creative division of production company The Sweet Shop has in partnership with YoungGuns launched a global competition in support of Oxfam Internationals Make Trade Fair Cause. Called Make a Big Noise for Make Trade Fair, the competition calls for anyone in the world under the age of 30 to dream up a non-traditional campaign. The winning entrant will have their idea brought to life and distributed across new media channels globally in 2007. Make Trade Fair is a campaign by Oxfam International and its 13 affiliates, calling on governments, institutions, and multinational companies to change the rules so that trade can become part of the solution to poverty, not part of the problem. The competition is about creating an idea outside the constraints of traditional media  be it through live events, virals, websites, consumer-generated content, podcasts anything that will make the most impact to the cause. The competition and campaign was conceived by The Rumpus Room. Were really looking for the kind of idea that can spark a phenomenon, said The Sweet Shops Managing Director, Paul Prince. Thats what its about: bringing a great idea to life for a worthy and relevant cause in the biggest way we can. Entries will be judged by over 60 of the world's leading creative heavyweights (it's an impressive list!. bestads) in communication advertising, and new media fields This elite jury - with members from South America, South Africa, the UK and Europe, Asia, the Middle East, Australia, New Zealand and North America  will bring a truly international perspective to the judging process. Recently I had a supporting role in a television commercial for a major international cellular telephone provider. The commercial was directed by the Perlorian Brothers and written by Mother NY. Everyone was very nice to me, and I think I did a pretty decent job for my first time on set, but I've since learned that I'm scheduled to be slaughtered in a week. This is not good for an actor's career. I knew it was a non-union job and the residuals weren't anything to get excited about, but I wasn't expecting to be hung by my foot and have my throat slit. They're only $20 and proceeds go to my care and feeding. Why do traditional advertising when you can build a spa. Sharpe Blackmore Euro RSCG has built & launched the Evian Purity Spa in Toronto's Yorkville  but it's only open for one month, until September 30th, and the treatments are free. What's interesting about this project is that it was designed and built by an advertising agency  Sharpe Blackmore Euro RSCG, Toronto. Sharpe Blackmore says they didn't build a spa, they built a brand. The spa is simply a non-traditional creative idea that helped solve the client's business challenges. It's becoming increasingly difficult to cut through the clutter with traditional print, outdoor and television. Like any great idea, the spa was different, unique, and represented the Evian brand better than any print ad ever could. But how does an agency suddenly become an expert in construction? They didn't. An agency doesn't actually produce a TV spot, either. There aren't teams of directors, editors, and animators on the agency payroll. The agency simply creates an idea, sources the best professionals to help them execute the idea and protects the creative integrity through the process. That's what Sharpe Blackmore Euro RSCG did with the spa, they developed the idea, brought in talented people who could execute it and managed the process to ensure that the original idea was protected. Design and Construction: Holman Exhibits Ltd.
06 September 2006, Amsterdam - Neil Thomson, a founding director of St Lukes, has been hired to the management team of Wieden+Kennedy Amsterdam as Finance and Operations Director. Neil Thomson takes on the mantel from long-standing Wieden+Kennedy staffer Ted Nelson, who has moved to the US to become Financial Director of the Portland office. In his role since 1995 as Chief Operating Officer at St Lukes Group, Neil Thomson was a member of the Executive Board with responsibility for all aspects of finance and infrastructure. Most recently, Thomson negotiated the buy-out from Chiat Day and devised St Lukes innovative share scheme. St Lukes itself was a leader in introducing transparency, brand rooms and new work processes to the sector in the UK; for the first five years of the agency it was known as the best regarded agency in the UK. NEW YORK  June 14 2006  JWT Worldwide, the largest advertising agency in the United States, and HuffingtonPost.com, one of the fastest growing Web sites, today announced an exclusive partnership to create a first-of-its-kind social advertising model for commercials powered by a blogging platform. From Saturday, June 17  Saturday, June 24, JWT and HuffingtonPost.com will partner to present creative video ads designed to be easily forwarded via email, IM or external links. JWT will be the front page advertiser on HuffingtonPost.com for this week-long campaign which will feature eight television spots from around the world created by the agency. The commercialswhich include Ford, JetBlue, HSBC, Levis, The Partnership for a Drug Free America, Scruffs, and Billy Collinswill cycle throughout the week on the Web sites homepage and daily email, and will lead to a special page allowing all videos to be viewed in one place. Each commercial was jointly chosen by JWT and HuffingtonPost.com based on its quality and potential to be forwarded on a viral level. The partnership marks an evolution in the way ads can be shared, accessed, experienced and complement existing content. Each link will stay active long after the commercial is taken down resulting in life beyond the paid media buy and wider overall audience. Since the Internet gives consumers choice, we know people will only watch a video that is worth their attention and will only share content with a friend if it is truly entertaining, said Sarah Bernard, HuffingtonPost.com General Manager. This changes how metrics are measured because in addition to looking at impressions; we can now look at what is shared and what is linked, and learn which ads work and which dont. We think that this model of social advertising can show that commercials and content can exist together and compliment each other in the same space." For the partnership, a custom video player was designed by HuffingtonPost.com using the vidavee technology platform. The full series of JWT commercials can be found on http://www.huffingtonpost.com starting Saturday, June 17. Independent Boston based Modernista! announces it has opened a European creative agency in Amsterdam, The Netherlands. M! has set up a European office to service their long-term client General Motors HUMMER brand across Europe and the Middle East. Modernista! is working with GM in establishing the best solution to their overall needs but M! has hopes to grow with additional clients in due course. Gary Koepke and Lance Jensen, Modernista!s founding partners and Executive Creative Directors, confirmed they have appointed British national Nick Simmonds as Managing Director of the Amsterdam office. Simmonds comes from Wieden + Kennedy Amsterdam where he worked for 9 years, latterly as Head of Client Services, managing account teams on pan-European and global clients including Coca Cola, Microsoft, Nike, Vodafone, Siemens Mobile Devices, Audi, etc. Prior to moving to Amsterdam Nick worked in London with Publicis as a Group Account Director. Gary Koepke and Lance Jensen are in the process of hiring an Executive Creative Director for the Amsterdam office and until that time will be personally involved in all creative aspects of the European start-up. Modernista! was founded in Boston, MA, USA in September 2000 by creatives Gary Koepke and Lance Jensen. Today the Boston agency counts 120 employees from more than 15 different countries. M!s client roster includes HUMMER, Cadillac, Budweiser, Napster, TIAA-Cref, Stop Handgun Violence and Rockport. Modernista! is fiercely independent. For Arthritis Week this year (Sunday April 2 - 9) Arthritis Australia has opted to avoid the traditional approach to Community Service Announcements that use celebrities or other sympathy grabbing conventions in favour of a decidedly more frightening approach. To achieve this aim, they approached The Glue Society for a creative solution which would, like much of their work, create immediate public notoriety and attention. Rather unexpectedly, they discovered that Jonathan Kneebone, founder of The Glue Society, was himself hospitalised with rheumatoid arthritis for a year at the age of five  and as a result it became a particularly pertinent project for both him and the other writers and directors on the project from Glue Society, Matt Devine and Luke Crethar. Jonathan Kneebone says: Arthritis can be profound in its impact on many people young and old. I have seen how it debilitates and slowly destroys someones liveliness. And because of my own experiences as a child with this disease, this project took on a particularly personal edge. The actual content of the commercial is being kept under wraps in order that it has a very real impact when people do see it on air. But suffice to say, it is designed to scare people into action  and shows a typically ambivalent middle aged man being forced to consider the impact arthritis is having on his  and his partners - life. In order to pull off what was a very ambitious idea required a production team of the highest quality  and we were thrilled that so many wonderfully talented people agreed to donate much of their time to this particular project. As a result I feel it is one of our most compelling and effective pieces of work to date. Kneebone added. SYDNEY: One of Leo Burnetts first campaigns for McDonalds this year has been picked up by the Golden Arches HQ to air around the world. McDonalds headquarters in Chicago has signed on for the rights to the Leo Burnett-created cheeseburger "Simple" campaign. The deal means the ad could now air anywhere in the world. The campaign - which presented life as a complex problem and a cheeseburger as a simple pleasure - was also crowned Best TVC at this years McDonalds Global Creative Excellence Awards. Creatives on the campaign were Leo Burnetts Tim Bishop and Dave Smith. The work first launched in Australia in March 2005, and was the first of a series of Leo Burnett campaigns for the core McDonald's menu. Leo Burnett began on the McDonalds account only late last year, through a one-off project on the McDonalds crew campaign, ending a long stranglehold on the account by DDB. Since then, the Sydney agency has rolled out campaigns for the core menu, for Deli Choices, and for branding, including its "Inner Child" campaign. More Leo Burnett projects for McDonald's are said to be in the pipeline. Story supplied by Australian Creative Magazine. 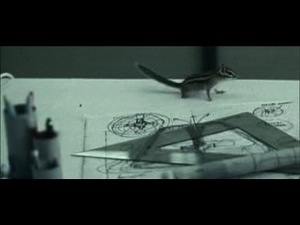 The recently published Gunn Report 2005 which combines the winners lists from all of the worlds most important advertising award contests thus to establish the annual, worldwide league tables for the advertising industry, has awarded the Nexus Productions commercial, Honda Grrr, the most awarded commercial in the world for 2005. Honda Grrr, the tour de force from advertising agency Wieden+Kennedy, London and Nexus Productions, London  directors: Adam Foulkes and Alan Smith, was a contender and winner for the Cannes Grand Prix (or equivalent) just about everywhere it was entered  Epica (first of all), then British Television, Andys, Clios, One Show, Cannes and Sharks to name but seven. No commercial in the 7-year-history of The Gunn Report has won by such an overwhelming margin. And no commercial since Apple 1984 in 1984, has been such an odds-on favourite to take the Cannes Grand Prix  as well as that being virtually everyones wish. This commercial goes direct (it doesnt have to pass Go) to The Gunn Reports reel of The 100 Best Commercials of All-Time. Nexus Productions was also honoured with becoming the 3rd most awarded production company in the world and its directors, Adam Foulkes and Alan Smith, were the joint 2nd most awarded directors in the world. Nexus Productions are currently in the process of submitting this feat in to the Guinness Book of Records. The Climate Action Network of Canada invites you to create posters with the following message: Time is running out, Climate Action Now! Or choose your own words, appropriate to your design. the visual message should be about the necessity for international agreement to implement reductions in greenhouse emissions as agreed upon in the Kyoto Protocol and to continue them after 2012. These ideas can tie into any aspect of global warming, conservation, or non fossil fuel energy use. Your singular ability to visualize concepts could influence decisions that will decide the future of this planet. These decisions will be made at the First Meeting of the Parties of the Kyoto Protocol, under the aegis of the United Nations Framework Convention on Climate Change, which will convene Nov 28 through Dec 9 in Montreal. Most of the world's leaders will be there in large numbers. They will try to work out the details of implementation of the Kyoto Protocols on the reduction of greenhouse gases across the globe. All posters submitted will be placed on a web site as an international virtual exhibition on the Canadian National Climate Action Network site at www.climateactionnetwork.ca Environmental organizations and individuals, including the 750,000 member Sierra Club will be informed of it. From this exhibition, posters will be selected for physical exhibition in Montreal in an area where delegates and others will congregate, probably the Palais de Congres. The Climate Action Network will print some of this same art work in a 8 1/2 by 11 size for leaflets and posting in Montreal. Many organizations will be holding satellite demonstrations in cities and towns through out the U. S. Your posters will be available to them through this web site. From it they can print for either leaflets or for making enlargements and creating their own exhibition, or both. Artwork should be 8 1/2" x 11" and submitted by email in tiff format, 300 dpi to: Andrew Dumbrille adumbrille@climateactionnetwork.ca. RSVP: Please send advanced email if you plan to submit a poster to facilitate planning. Note: Please do not email larger files at this time. Posters selected for enlargement and exhibition will be requested on disk. For global warming facts and alternative energies visit www.climateactionnetwork.ca/e/. Reginald Pike has launched REGINALDO an affiliate company in the US to represent new comedy directors Lena Beug and Brian Lee Hughes. Lena Beug, winner of the International New Director Award at 2005 Shark Awards comes from MTV, where she worked as a Senior Art Director and also directed the iconic Intro Guy and Mean Girl. Former Senior Art Director at TBWA Chiat/Day SF, Brian Lee Hughes has been directing spots for the last eight months - including youth-orientated projects for Coca Cola, Pepsi, Burger King and Energizer. News from Krishna Smiles, South Africa. Currently flighting on TV stations across the country is MTNs latest summer campaign. The commercials fresh and engaging execution manages to stand out in the competitive and congested cell phone market. The concept that includes police busting up a party at an old age home, to dive-bombing grannies, was conceptualized by Creative Director Clinton Bridgeford and his team at Y&R Gitam. In a four way pitch against some of the countrys leading directors and production companies, Bridgeford and his team chose Mukunda from production company Krishna Smiles-Flowers Bloom to direct the spot. When choosing a director for a board, there are certain times that you opt for a performance director or need a director with a great eye or someone that knows how to tell a story. With Mukunda we knew we would get all of the above and as on the number of occasions weve worked together before, he again delivered with unbridled commitment on a job we are all very proud of. said Bridgeford. Clarification: the global brand Coke pitch and subsequent win was exclusively a Wieden+Kennedy/Amsterdam (European HQ) concern and was made up solely by W+K/Amsterdam creative and strategy. It was steered by Tim O'Kennedy (MD), Al Moseley (ECD) and John Norman (ECD). W+K/Amsterdam is tasked with setting and steering the creative concept and strategy for the global iconic Coke brand. Coca-Cola recognises that to make a cohesive global brand identity there is a need for passionate, meaningful ideas that transcend borders and boundaries", says Wieden+Kennedy/Amsterdam managing director Tim O'Kennedy. "Coke dedicated a great team to this process who weren't afraid to get down in the trenches with us, helping bring to life some cracking creativity and strategic thinking. Sometimes at 2am in the morning!" The Mob Film Company adds Mob North. The Mob Film Company was co-founded seven years ago by John Brocklehurst, Vadim Jean and Ian Sharples and has established itself as one of Londons leading production companies. Mob North will offer their clients the same experience and quality production that the London office currently provides. Devise a print and online campaign to promote the long awaited sequel from Peter Molineux. The campaign sought to leverage the games central thought: are you a god of war or a god of peace? The websites www.peacefulgod.com and www.destructivegod.com represent the two sides to the coin, shown in the print work. 1. a cow: shoe or moo? 2. a hen with her chick: yummy or mummy? AMSTERDAM, Netherlands, 26 October 2005  UPC Broadband (UPC), a division of Liberty Global, Inc. (NASDAQ: LBTYA, LBTYK) and Wieden+Kennedy/Amsterdam today announce that they will work together on repositioning the UPC brand throughout Europe, starting in October 2005. In signing this deal, W+K/Amsterdam will bring their expertise in branding and lifestyle advertising to redefine the UPC brand in the digital era. After completing a brand campaign for MTV, Fly on the Wall productions were commissioned to do an AIDS awareness campaign for international broadcast on MTV for the Staying Alive organization.